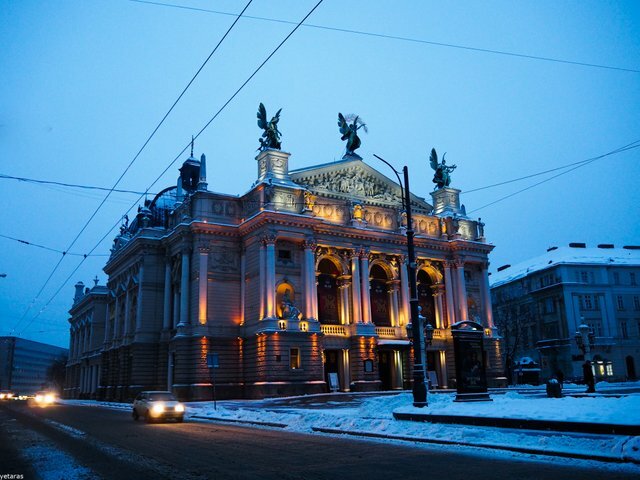 A lot has already been written about the Lviv Opera and Ballet Theater, including here in Steemit, so I'll just share my photos taken one winter morning when I went through the city center early in the morning to work. Про Львівський театр опери і балету вже чимало написано, зокрема і тут, у Стіміті, тому я просто поділюся своїми фотографіями, зробленими одного зимового ранку, коли я рано-вранці ішов через центр міста на роботу. Wow! 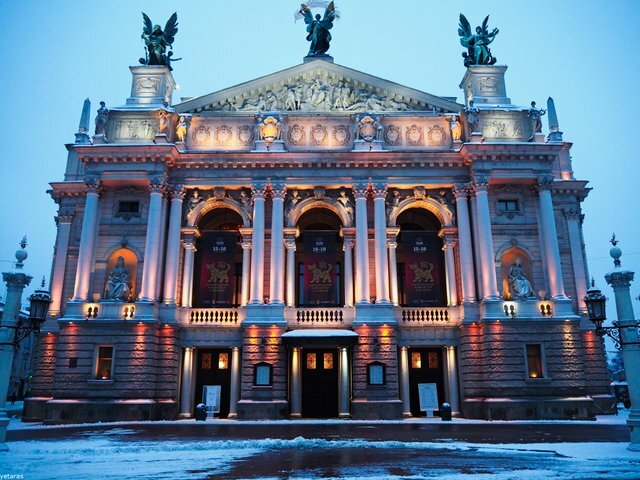 At first look I thought it was the Opera Garnier in Paris! Lovely building! The architect who created the project of this building was Zigmund Gorgolewski, author of numerous buildings in Germany and Poland. 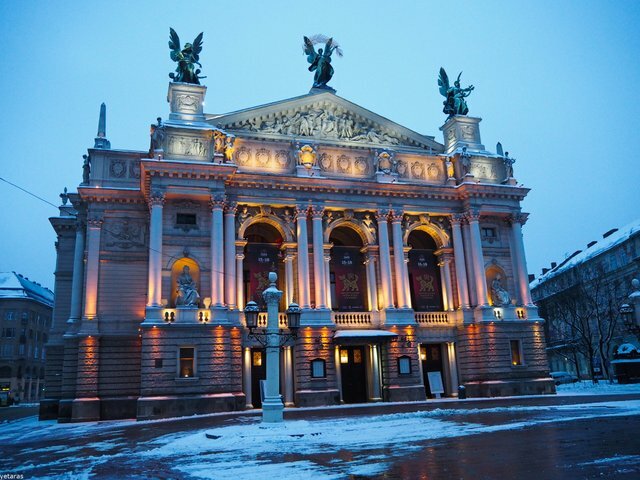 I am very happy that you like my job and this Opera House! Прекрасні фото. Шкода, що я не бачив цю будівлю в темну половину добі. Ваші фото це компенсували.